Sebastian had incomplete Kawasaki Disease age 3 months which went undetected for a period of time and attacked his coronary arteries. Sebastian did not fit the typical profile of someone with Kawasaki nor did he present all of the typical symptoms. After three ER visits (because of fever and fussiness) and many tests, the amazing team at Maria Fareri Children’s Hospital were able to make the diagnosis and save his life. Unfortunately, Kawasaki was able to do it’s damage and left Sebastian with gigantic sized coronary aneurysms. All of Sebastian’s heart valves are severely enlarged and have aneurysms. 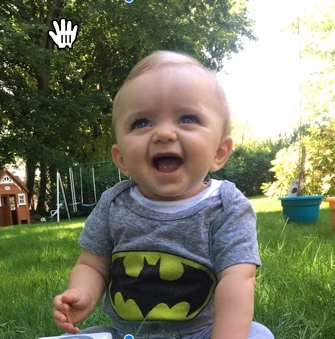 After 15 days in the PICU, Sebastian was released to outpatient care from the MFCH pediatric cardiac team. Sebastian enjoys spending time with his family especially his big sister Carolina. Common cold – treated with Tylenol, ear infection- treated with antibiotics.